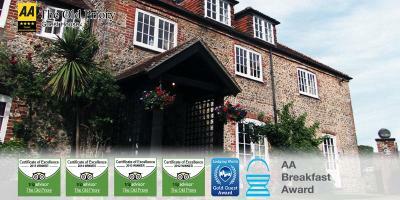 Lock in a great price for The Old Priory B&B – rated 9.4 by recent guests! The decor was a bit odd and would not be to a lot of peoples choice especially a Mans. The room could have had 2 chairs to sit on instead of the stool type piece of furniture at the foot of the bed and was only for putting clothes on. It is not comfortable to watch the TV on the bed and not good for people with bad backs, otherwise ok.
we stayed in the barn good beds good bathroom very comfortable lovely gardens smashing pool and hot tub area which we did not have time to use. Debbie was lovely and helpful breakfast was enjoyable and BOBO is unique. We highly recomend THE OLD PRIORY to everyone!! Good location for exploring local area. Beautiful and relaxing grounds along a very quiet road. Excellent facilities and very welcoming hosts. 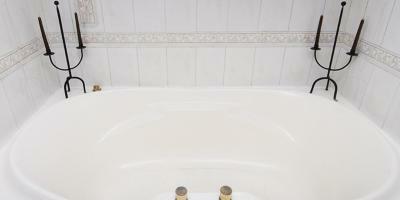 Very clean and tidy with friendly, approachable and hospitable hosts. Had a luxury barn which was excellent. Had a lovely spa bath and very comfortable Four poster bed. Breakfast had good quality produce and a nice choice. Very friendly staff which went out of their way to give you whatever you needed. Love bobo the dog. 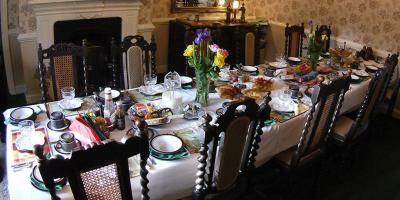 The breakfast was great and the room was beautiful. Loved it and will definitely stay here again! 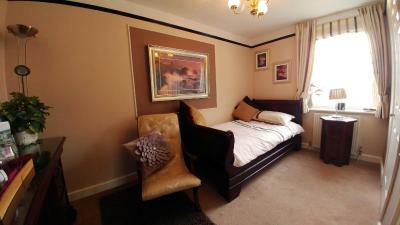 Comfortable warm clean room,the owner was very helpful as to local amenities. The breakfast was excellent, highly recommended this establishment. 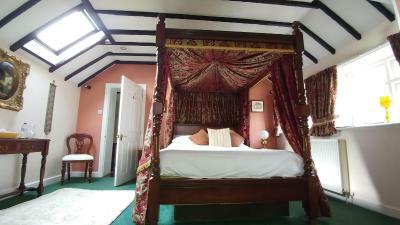 Very comfortable bed, spacious, warm room, lovely spa bath, excellent breakfast. Would love to stay again in the future. Thank you very much. It was cosy and quiet and the breakfast was excellent. The Old Priory B&B This rating is a reflection of how the property compares to the industry standard when it comes to price, facilities and services available. It's based on a self-evaluation by the property. Use this rating to help choose your stay! 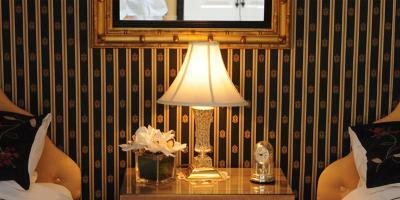 The bed and breakfast offers a flat-screen TV and a private bathroom with free toiletries, a hair dryer and shower. 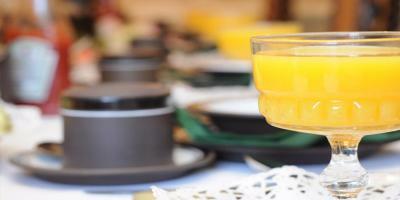 A continental, Full English/Irish or vegetarian breakfast is served at the property. 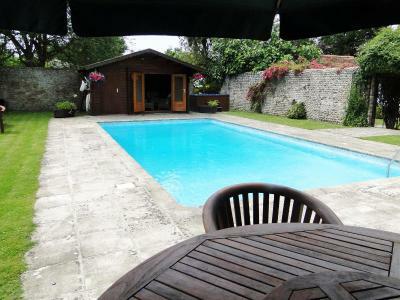 The Old Priory B&B has an outdoor pool. Portsmouth is 23 miles from the accommodation, while Chichester is 6 miles away. 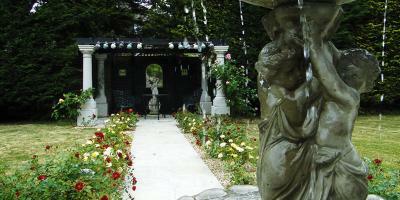 The nearest airport is Southampton Airport, 37 miles from the property. This property is also rated for the best value in Bognor Regis! Guests are getting more for their money when compared to other properties in this city. 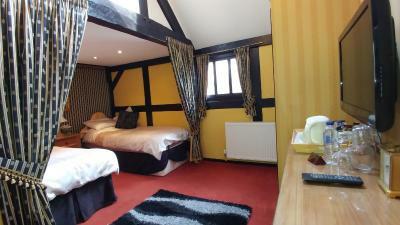 When would you like to stay at The Old Priory B&B? This single room features a tea/coffee maker. Deborah and Nigel Collinson wish to welcome you to our B&B. 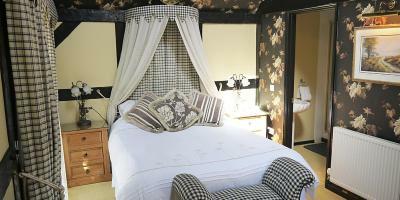 Situated in the heart of the beautiful Sussex country side. Records show there has been a priory on this site since the registration of the Doomsday book dating back to 1085. The priory was then re-constructed in the 1600’s from the burnt out remains, there are still ruins from the old building in and around the walled garden where the swimming pool is now situated. House Rules The Old Priory B&B takes special requests – add in the next step! 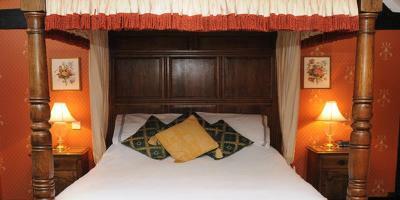 Any additional children or adults are charged GBP 10 per night for extra beds. The Old Priory B&amp;B accepts these cards and reserves the right to temporarily hold an amount prior to arrival. The Old Priory B&B accepts these cards and reserves the right to temporarily hold an amount prior to arrival. Bathroom was a bit tight for room but it was manageable. Quiet area, off road parking, good food, pleasant owner & informative. The eggs were horrible pale tasteless, the usual lousy tiny portions of milk in the room the croissants dry the difference is in the detail the detail at The Priory was very average. Friendly staff and guests, comfy bed. Perfect location for where I wanted to go and a really lovely building in a lovely road. Great breakfast and friendly hosts. 10/10 really!! We had to keep the radiators on all night which made the air very dry. The Bed was comfy. The Breakfast was very good. We were made to feel very welcome. 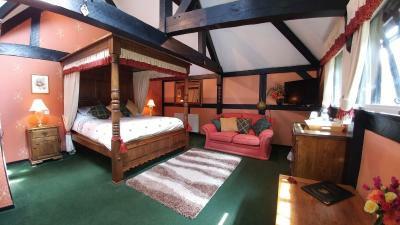 The Old Priory was in an easy to find location, rustic, style, comfort, well decorated, warm and cosy, the hosts were very welcoming and helpful, during the summer there is a swimming pool and hot tub in the grounds, breakfast was varied and plentyful. Very friendly and welcoming and room was lovely and comfy. Great for the overnight stay.